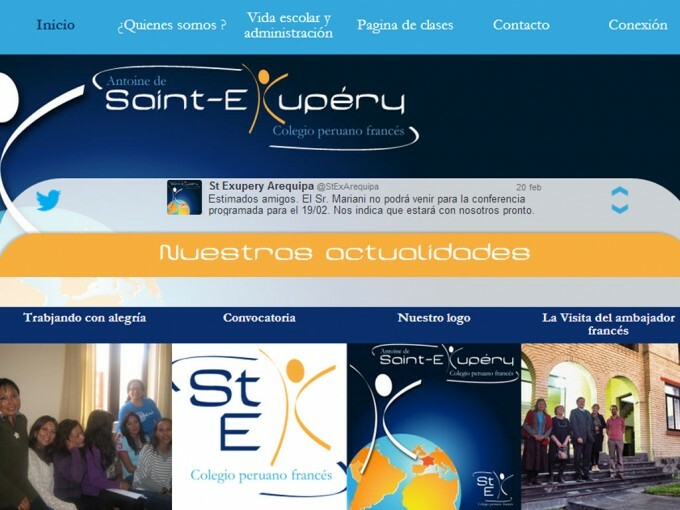 This website was created at the same time as an all new bilingual school in Arequipa, Peru. As the school itself was preparing, requirements for very specific features were made clear. The site was to be in French and in Spanish of course, and to be used both as a mean for internal and external communication, as well as an educational tool for the pupils.